CANKER SORES (APHTHOUS ULCERS) WHAT ARE CANKER SORES? Canker sores are painful shallow ulcers in the mouth that are covered by a whitish gray membrane. The ulcers are surrounded by a halo of very red tissue. Canker sores can be found on the tongue, soft palate (the back portion of the roof of the mouth), gums, inner cheeks, throat, and sometimes the lips. Unlike cold sores, canker sores are not contagious. Anyone can develop canker sores. It is believed that simple or sporadic canker sores affect about 20% of Americans at some point in their lives. The first occurrence is usually between the ages of 10 and 20, but younger children can develop them as well. As a person ages, the frequency of canker sores decreases. Women tend to develop them more often than men, and there does seem to be some genetic predisposition. A fewer number of people develop complex canker sores. Instead of having episodes 3-4 times a year that last 7-10 days, these people may have sores 50% of the time and develop new sores just as the old ones are healing. Currently, it is believed that tissue injury, stress, and viral illnesses may result in the formation of simple sores. Some researchers believe that certain foods such as citrus fruits, pineapples, tomatoes, nuts, and cinnamon can trigger the problem. Menstrual periods can also act as a trigger. In about 20% of complex cases, certain causes such as vitamin B12 deficiency, folic acid deficiency, iron deficiency, an impaired immune system, and diseases of the intestinal tract have been found to be the cause. In the remaining 80% of cases, no cause has been isolated. In addition to the formation of painful ulcers, a period of tingling and burning may precede the appearance of a lesion. In extensive cases, fever, listlessness, and swollen lymph nodes may occur. • Brush your teeth at least twice a day in addition to flossing regularly (and gently!). Avoid toothpastes that contain sodium lauryl sulfate (SLS), which has been linked to the presence of recurrent oral ulcers. Find an SLS free toothpaste you like and use it exclusively. • Avoid foods that appear to trigger symptoms. Keep a food diary to identify triggers if symptoms are recurrent. • Maintain a healthy immune system. Eat regularly, get plenty of sleep, and attempt to manage stress effectively. • Visit your dentist if you have tooth surfaces that irritate the inside of your mouth. • Rinse your mouth 3 times a day with a salt-water solution (1/2 teaspoon of salt in 8 ounces of water). • Make a mixture of half hydrogen peroxide and half water. Use a cotton swab to apply the mixture directly to the sore, and then dab a small amount of Milk of Magnesia on top of it. Do this 3-4 times a day. • Dabbing diluted baking soda on the sore can also help. • You can also mix Milk of Magnesia and liquid Benadryl Allergy medication in equal amounts. Every 4-6 hours, swish it in your mouth for a minute and spit it out. • Over-the-counter treatments, such as Ambusol, Orabase, or Orajel, can help ease the discomfort. Colgate’s Orabase is easy to use, effective, and provides a protective barrier. Apply directly to canker sore for immediate relief. • Avoid irritating foods and drinks (such as citrus, tomatoes, vinegar, pickles, salted nuts, and potato chips). • Take acetaminophen (Tylenol) or ibuprofen (Advil or Motrin) for discomfort. • In some cases, a prescription ointment containing a steroid or a numbing medication can be helpful. • Frequent outbreaks (>8 times/year). • Ulcers that take more than 7-10 days to heal. • Spreading or unusually large sores. • High fever with the development of sores. • Sores that are accompanied by arthritis or diarrhea. • Pain that is not controlled with the self-treatment measures mentioned above. One in four adults has an untreated cavity, and according to the CDC, nearly every adult will have tooth decay at some point. You might have a cavity if you experience pain, food gets caught in your tooth, your tooth feels rough to your tongue or it hurts to eat something cold or sweet. Depending on their severity, cavities can be treated with fillings, crowns or root canals. If the damage is too extensive or involves nerve damage, the tooth may need to be removed. To reduce your chance of developing cavities, brush twice a day, floss once a day,drink water with fluoride, use a fluoride toothpaste, stay away from sugary food and drinks and see your dentist regularly. Grinding your teeth (bruxism) is most likely to happen when you’re sleeping, though it can occur anytime during the day if you’re stressed, have a new fillingor crown that’s higher than the rest of your teeth or have an abnormal bite. Over a long period of time, the surface of your teeth will become worn. You could experience toothaches, dull headaches or earaches, and jaw pain (TMJ). Your teeth may also appear more yellow because the white outer covering is worn away. You are more likely to develop gum disease if you skip brushing and flossing, use tobacco, have crooked teeth that are hard to keep clean, are pregnant, havediabetes or take certain medications. When in its early stages, the disease is still reversible and your gums can be returned to good health with a professional cleaning from your dentist, along with daily brushing and flossing. There are two reasons your tooth may change color after trauma: It’s either trying to protect the nerve or it’s dying. If it’s protecting the nerve, your tooth may look a little darker than the ones next to it. If it changes colors like a bruise (from pink to gray), this means your tooth is most likely dead. You may need aroot canal, usually followed by a crown. In some cases it may be necessary toremove the tooth. If it is a baby tooth, you may be able to leave it alone until it falls out. 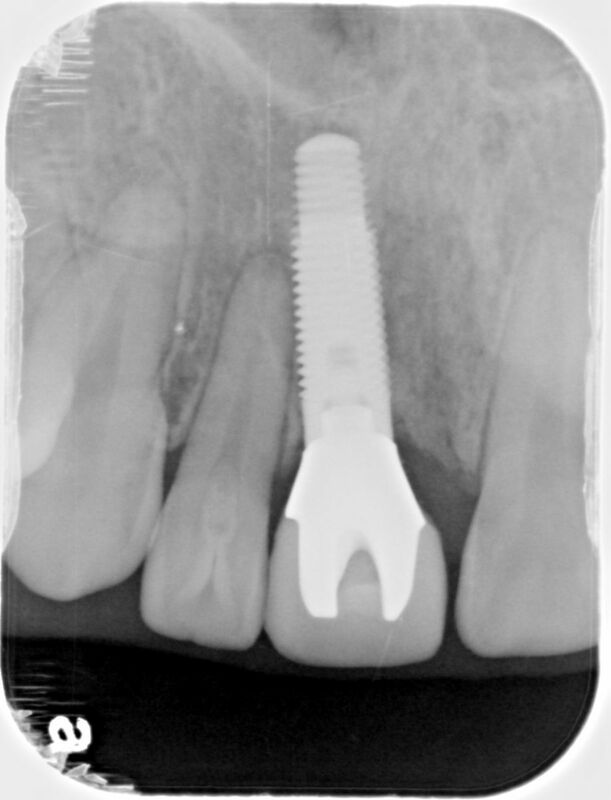 Surgical visit--implant is placed together with "healing abutment". 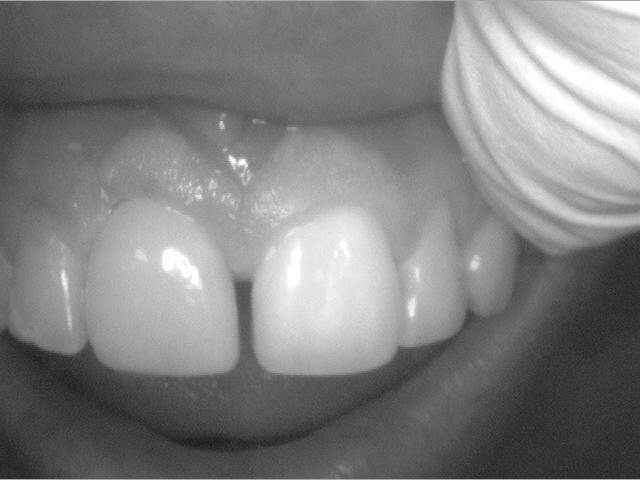 Appearance of healing abutment in mouth. 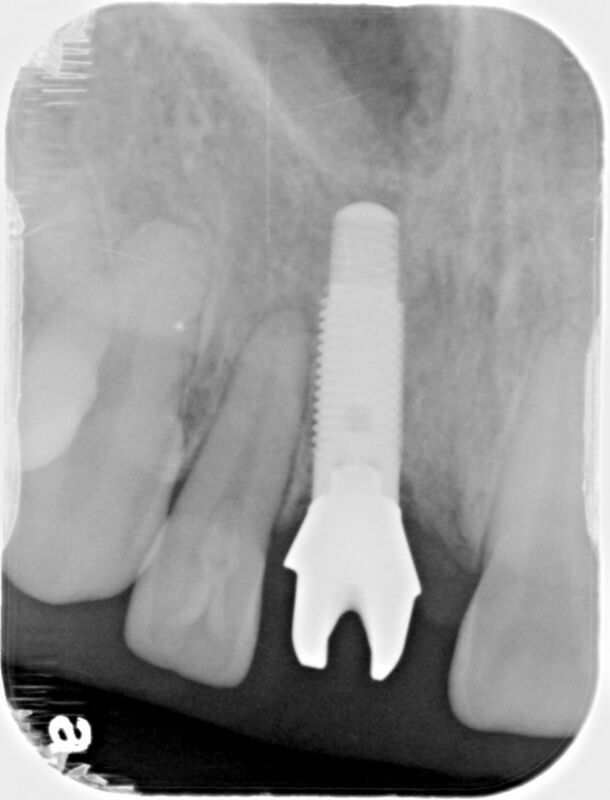 First restorative visit--final impression taken with special implant "impression post". 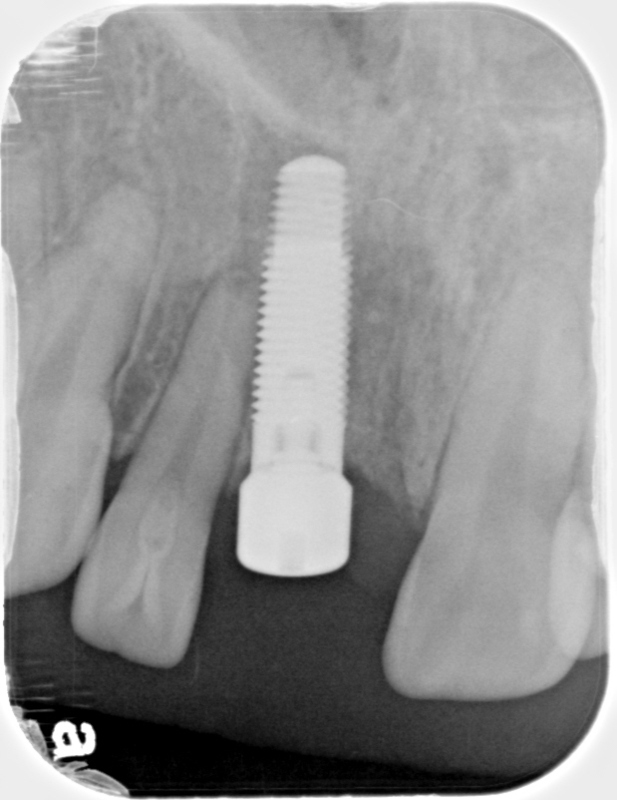 Second restorative visit--placement of custom abutment (connects crown to implant). 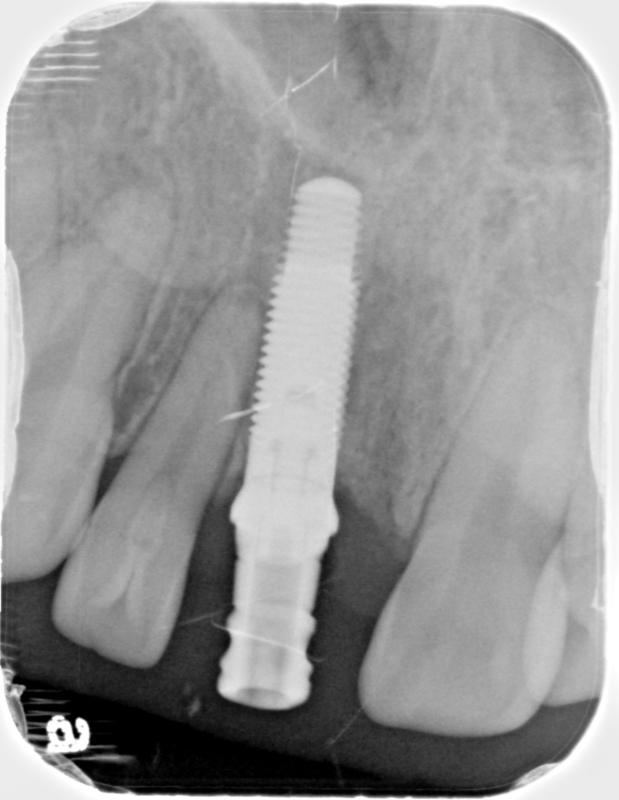 Second restorative visit--placement of implant crown. 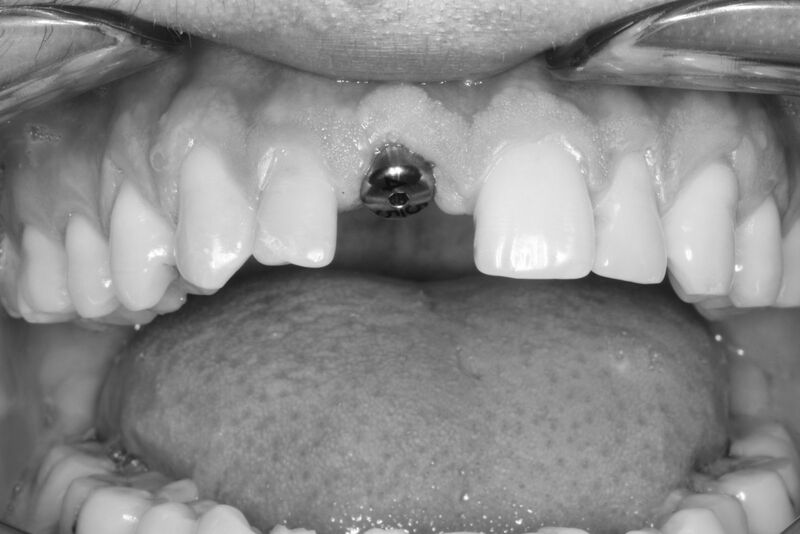 Appearance of implant crown in mouth. How Much For An Extraction? The time and difficulty involved in extracting a tooth can vary from A to Z. Teeth that can be removed with minimal time and instrumentation are called "simple extractions". Extractions that are more complex, requiring more time, expertise, instrumentation, and post-op care are called "surgical extractions". Wisdom teeth can be simple or surgical, but often they are "impacted", that is, submerged below the gum and embedded in bone. The cost of extracting an impacted wisdom tooth depends on the degree of difficulty. Unfortunately, we cannot determine which type of extraction you might need over the phone. It requires a dental exam and X-ray. This allows us to assess when (today or another day) and where (here or other DDS/oral surgeon) the tooth may be extracted. How Much For A Filling? Not all cavities or broken teeth can be fixed by only a filling. Many require crowns and sometimes even root canals. The cost of a filling depends on its size and location. We use tooth colored composite resin (not silver amalgam) for all our fillings. Unfortunately, we cannot determine which type of restoration you might need to fix your tooth over the phone. It requires a dental exam and X-ray. This allows us to assess what is needed to get your tooth back into good condition. How Much to Clean My Teeth?